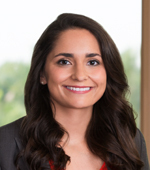 Chelsea E. Bellew has been named associate to the firm’s Palm Beach Gardens, Florida office. Ms. Bellew defends self-insured employers, insurance carriers, and third-party administrators in matters relating to workers’ compensation, handling catastrophic injuries and permanent and total disability claims. Additionally she defends employment and labor law cases related to the Fair Labor Standards act and issues related to Americans with Disabilities Act and Family Medical Leave Act. Prior to joining the firm, Ms. Bellew was an attorney at a large West Palm Beach law firm where she gained legal experience handling similar matters.